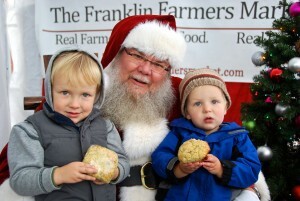 We are excited to bring our first Goats in Pajamas at the Franklin Farmers Market! 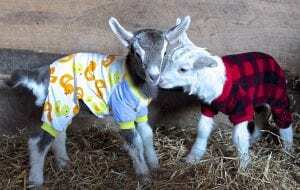 Noble Springs Dairy will have several Baby Goats dressed in cute pajamas for kids to meet and take photos of. Don't miss out on this fun event for all! Farm fresh strawberries, a sweet way to start the summer at the Franklin Farmers Market! 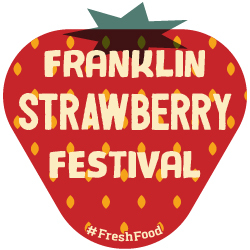 The Strawberry Festival will have lots of strawberries, fun and games for the kids, and the best homemade strawberry shortcakes you’ll ever eat! We are planning for a bumper crop of very sweet juicy strawberries! Bring the kids and some friends! Great fun for all!!! 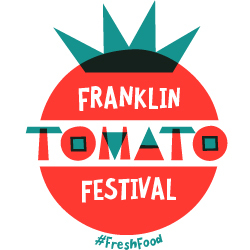 It’s heaven for tomato lovers – celebrate summer’s favorite veggie with heirloom tomato tastings, plus lots of fun games for the kids! 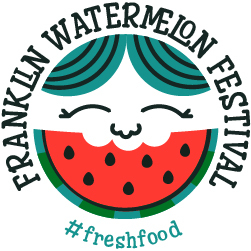 The Franklin Watermelon Festival is a big, juicy sweet seed-spittin’ fun day for the whole family! The games for the kids and adults, includes the popular watermelon seed-spitting contest and the popular fastest watermelon eating contest. Don’t miss the wild watermelon carvings and slices of ice cold watermelon! Our Pardoning of the Turkey event promises to be another family favorite event! Returning to the market will be the friendliest pet turkey from Earth Advocates Research Farm. Plans are in the works for a very special guest who will preside over the pardoning of Danny the Turkey. 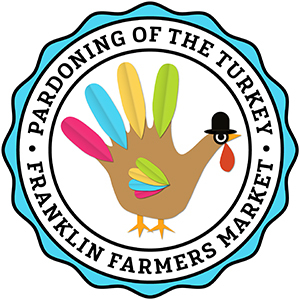 We will invite all children to write a letter to the market requesting the pardoning of Danny the Turkey this fall. Come enjoy the day! Santa visits the market each December. Bring the kids to visit with Santa and snap a picture of Santa asking what each child wants for Christmas. It’ll be a fun day for local families!